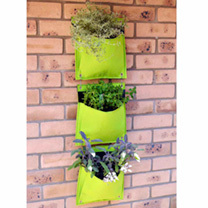 Ideal for flowers, herbs or salads, our Wall Planters make vertical wall gardening easy - just add compost and plants! 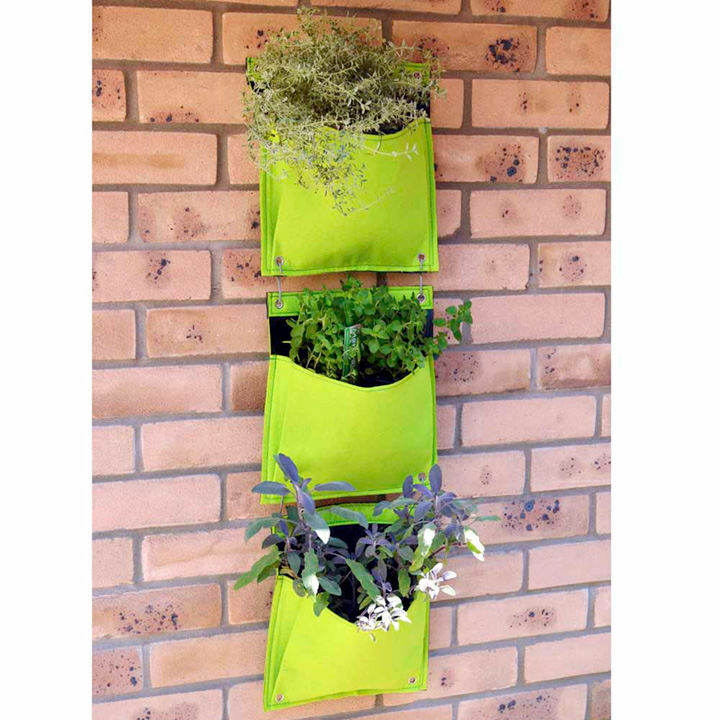 They're easy to mount on a wall, fence or balcony, with a simple hook system (expandable metal "S" hooks included) for adding more planters. They feature reinforced eyelets and webbing for strength and are lined to ensure good moisture retention. Available in green only. Vertical wall planting made easy!